Indiana’s Academic Standards for Science were last revised in 2016. This new document, Indiana’s Academic Standards for Science – 2016, reflects the ever-changing science content and the underlying premise that science education should be an inquiry-based, hands-on experience. These standards were adopted by the Indiana State Board of Education in April, 2016, and will be implemented in the 2016-2017 school year. The science standards focus on the following topics; physical science; earth and space science; life science; and literacy. For K-8, there are computer science and engineering standards. These documents specifically list the standards for each grade or course at the high school level. The science standards focus on the following topics; physical science; earth and space science; life science. For K-8, there are computer science and engineering standards. 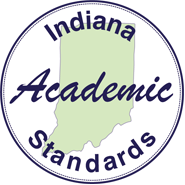 This document provides guidance and illustrates the correlations between the Indiana Academic Science Standards (2016) and the previous standards; Indiana Academic Science Standards (2010). Teachers are encouraged to use this document as an instructional support tool. These standards provide guidance to content area teachers in grades 6-12 (e.g., History/Social Studies teachers, Math teachers, Science teachers, Career and Technical Education teachers, etc.) on the expectations for integrating reading and writing skills into their daily instruction. The Vertical Articulation documents illustrate the significant connections between the standards across grade levels. Administrators and teachers are strongly encouraged to use these documents to facilitate cross-grade level discussions. These resource guides for the standards are provided for each grade level or course at the high school level. The resource guides highlight academic vocabulary, contain clarifying statements, and list potential digital resources for each standard at the grade level or course. These documents were written by teachers for teachers. The resource guides are not exhaustive and are only for support and possible resources/activities that relate to the standards.